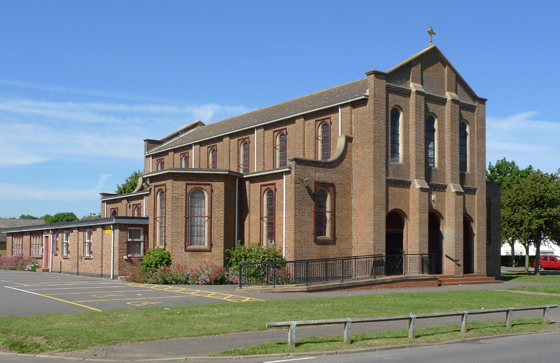 St Thomas Aquinas Church, Sycamore Avenue, Fenny Stratford, Bletchley, Milton Keynes, MK2 2JE, on the corner of Manor Road. 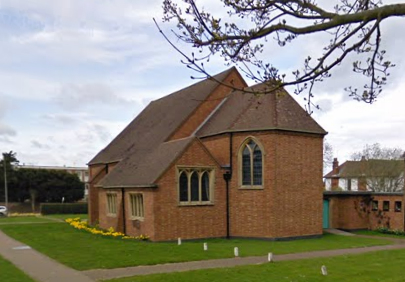 Car parking is in the small car park in Walnut Drive and on the roadside outside church. Also, on Saturday nights and Sundays our neighboring Dentist surgery “Oxford House” allows us to use their large free car park (right next door) off Aylesbury Street. All Saints Church in West Bletchley, at the junction of Whaddon way and Shenley Road, with the small car park in Corfe Crescent, MK3 6HG. Visitors are respectfully requested not to block the access of Corfe Crescent residents by parking on their narrow roadway. Plenaty of additional car parking is located in Whaddon Way shops, and behind the shops is a huge free car park accessed by turning left from Whaddon Way into Warwick Road and first left into Porchester Avenue: (a two minute walk to the church door through the shops). Sunday Mass Times: 9am (hymns, children’s liturgy of the word), 11am (hymns, children’s liturgy of the word) and 6.30pm (no hymns). Holyday Mass Times vary, so please consult the newsletter or website.